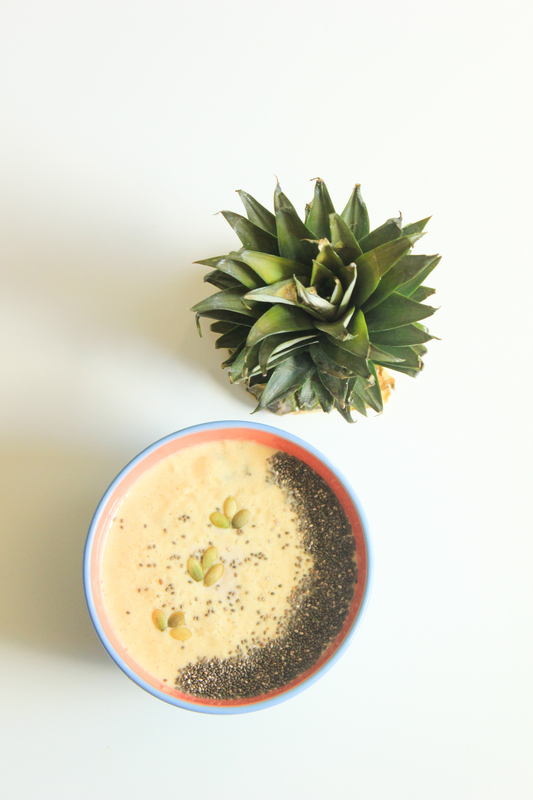 Thursday quick smoothie – Eat, Click, Travel and Repeat! Pineapple and banana smoothie! Oh yes, but with coconut water to give hint of pinacolada. This refreshing smoothie is a must after a massive workout. Blend 1 cup of pineapple slices with 1 banana, 100ml coconut water, a pinch of turmeric powder, 1tbsp yogurt and atleast 200ml milk. Add chia seeds, museli, and pumpkin seeds to decorate.